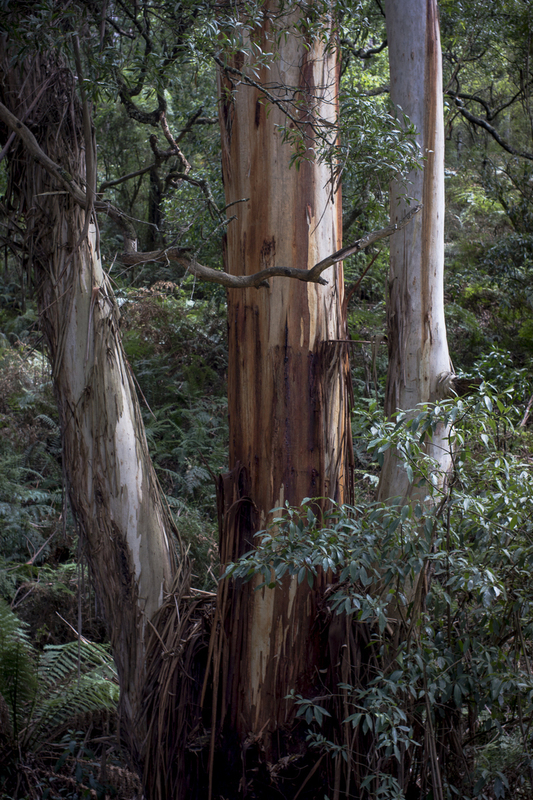 There were pockets of farming and human habitation within the forest along the Old Ocean Road that I walked along so the forest was the product of an interaction between nature and various phases of human habitation. To understand it as a place is to acknowledge and recognise the intimate relationship between the human and the non-human, between the social and the ecological. It is a cultural landscape. Landscape photography has a bad press these days. It is seen as conservative and predictable, as being the complacent expression of an identification with the status quo and one where people think they are seeing landscape, but are only seeing themselves. The image of nature, as it were, is a vehicle for expressing human subjectivity. It is generally seen as sentimental and antiquated. An inferior art form as it were. Developing a poetics of place has to deal with the impact of colonialism and its values of reducing ecosystems to a value of human possession and profit. The colonial project was a violent dispossession/possession one, based on the massacre of First Nations people in the act of dispossession and theca of possession being one of power control and exploitation of the land. 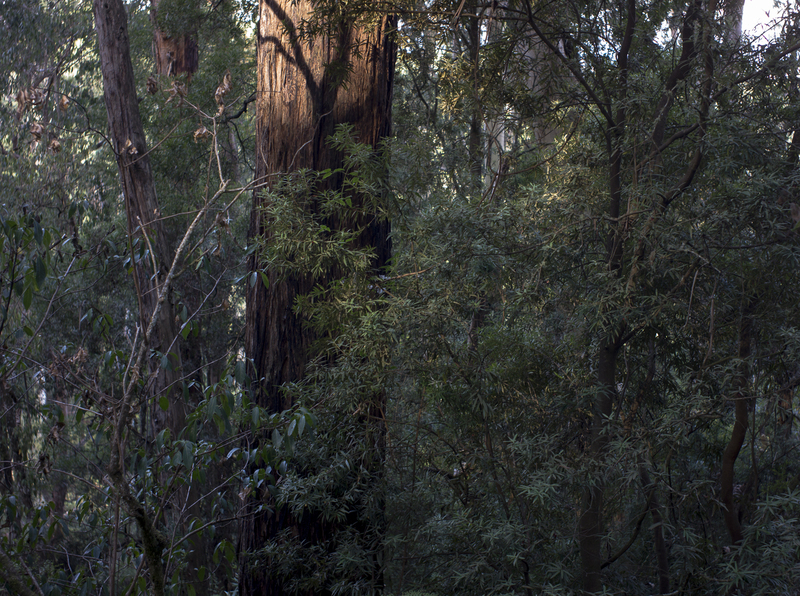 A place-based photography, therefore, needs to be a post-colonial poetics that would inform, provoke and inspire as well as paying close attention to the details and beauty of a native eucalyptus forest, which, for some reason, that been saved from being stripped and cleared so that land could be used for agriculture.